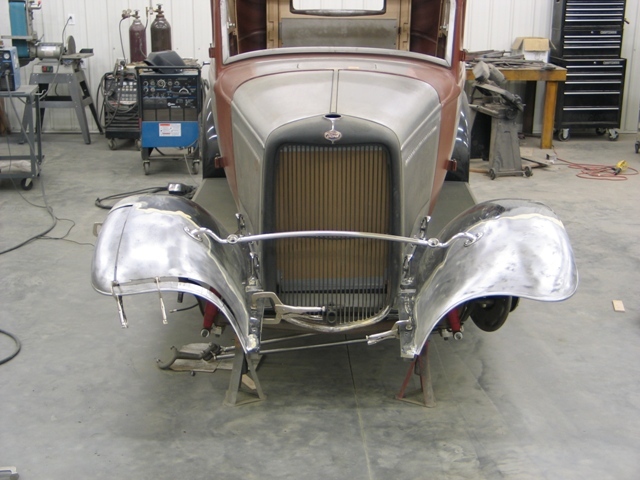 The front fenders on a '32 are notorious for not being the same side to side. 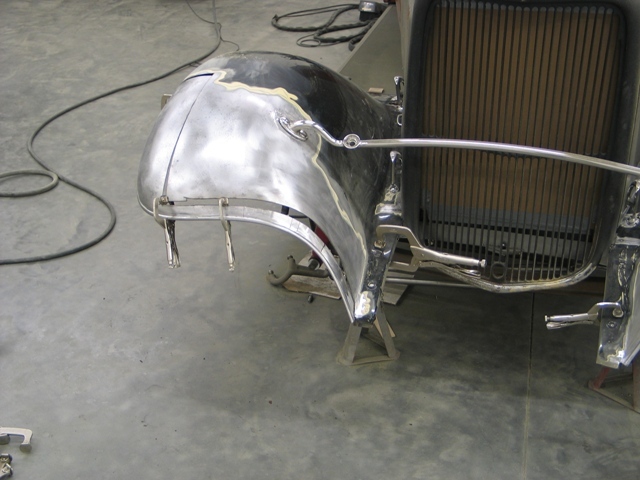 As nice as these fenders were, they still need to be cut up to make right. 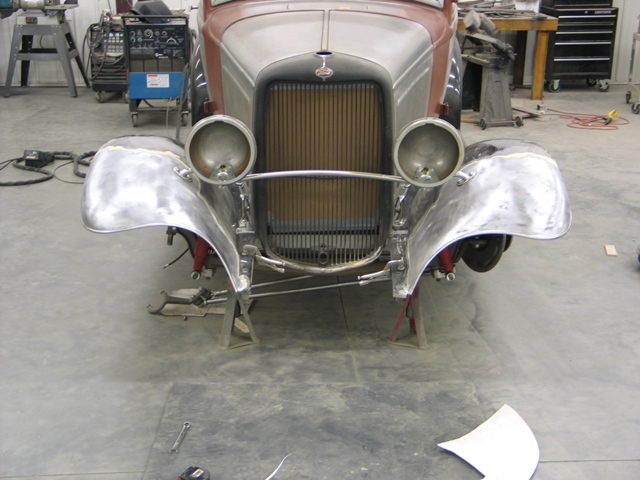 We started on the passenger side fender, pulling the front down a bit along with moving the side profile a bit. 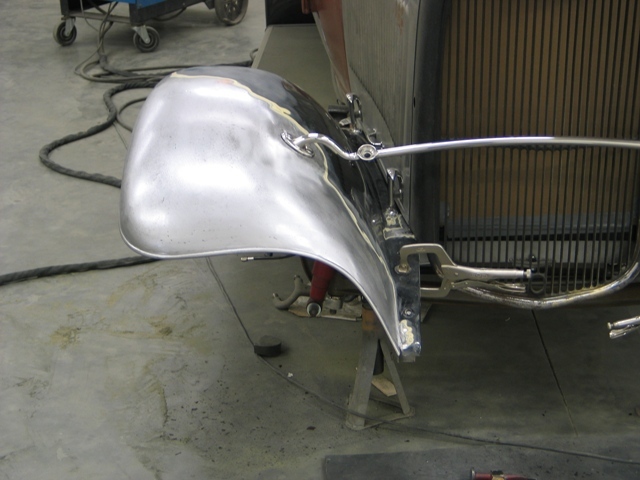 The top section is now welded back together - we will now move on to the front section. 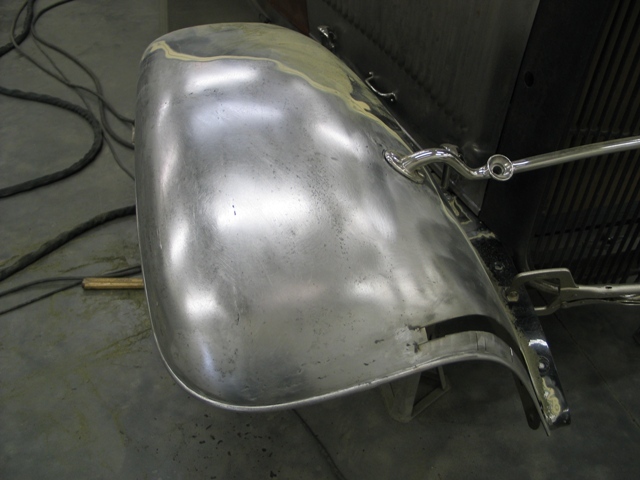 Everything is welded back together, filed and sanded. 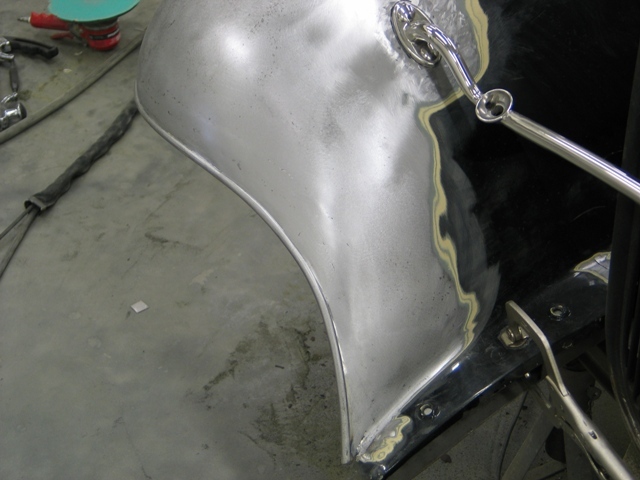 Both sides needed to be metal finished, since the bottom side of the fender will be just as nice as the top. Now on to the other side - not as extensive, but still some cutting needed to be done.